Hi there, friends! 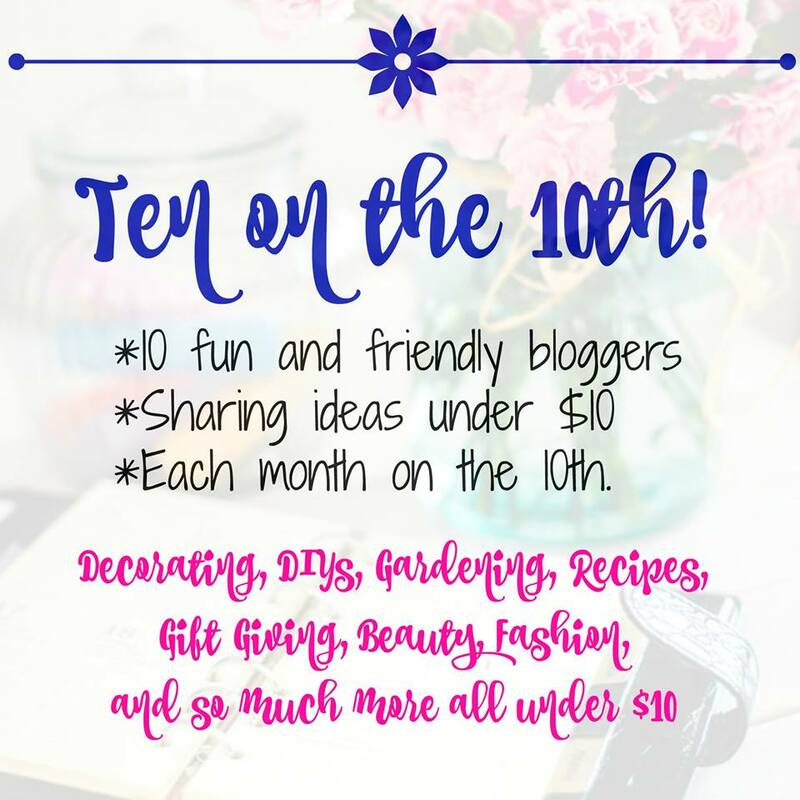 It’s that time of month when I join some blogging friends of mine to share some of our personal favorites that cost under $10. Everyone loves a bargain, right? 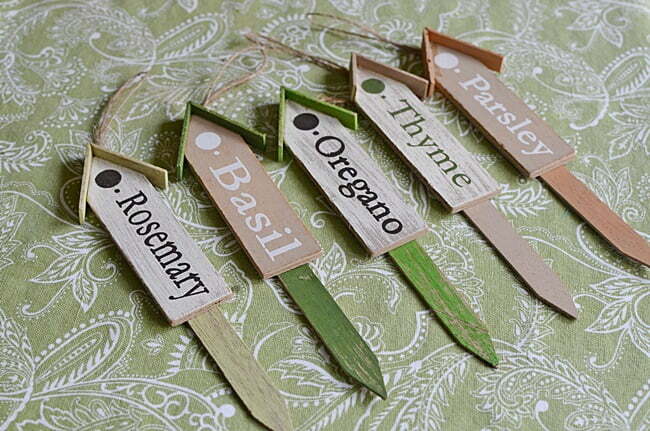 Today I’m sharing some really cute and cheap herb plant markers that I ran across lately. When I spotted them in Walmart a few weeks ago, I knew these cute things were going home with me. Aren’t they adorable with their little birdhouse shaped tops? But the best part is that they were only .99 each!!! I found them in the section where the spring and Easter decor is located, not in the garden area. They are meant to be purely decorative, but I had already planned to get some fresh herbs growing indoors while I waited until planting time outside. 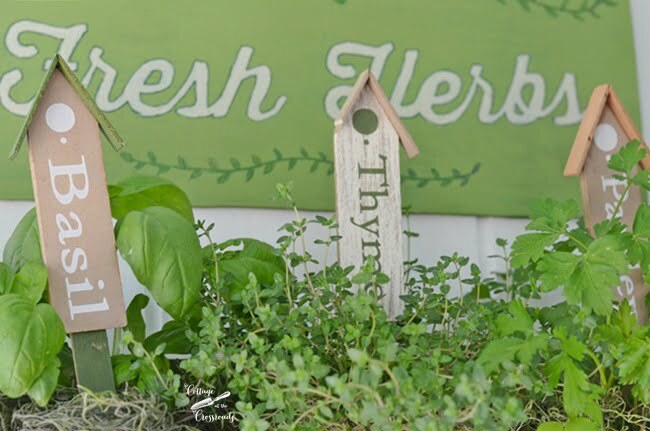 Since I have a bright and sunny back porch which is a great spot for growing herbs indoors, I put together a little herb garden recently using these herb plant markers. Anyone got “thyme” for some fresh herbs??? Look how great this one looks tucked into a pot of thyme! I just noticed that one edge of the top of this one has broken off but that just lends some character, doesn’t it? They are only available for the most common culinary herbs such as basil, thyme, parsley, oregano, and rosemary. But those tried and true herbs ALWAYS have a place in my dishes that I cook up here around the Crossroads. 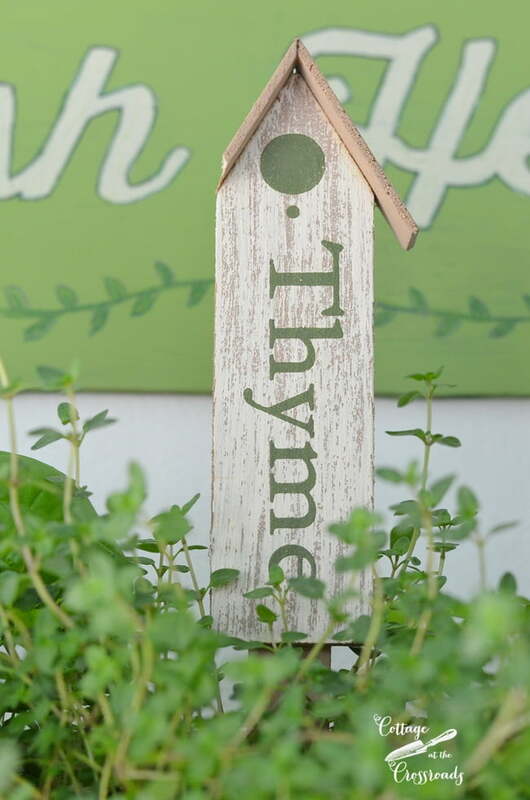 I was thinking that these markers would be a great way for beginning herb gardeners to identify your herbs, especially if you are growing them on your windowsill. But if you want to start growing them outdoors, check out my HERB GROWING TIPS. Having grown herbs for a number of years, I don’t need these markers to know which is what. I just liked them for the cute factor! Wouldn’t they look adorable on a spring wreath with some herb seed packets? Hmmm. I may just have to make one of those soon for the kitchen! I can’t show you too much of my indoor herb garden project because I’ll be sharing that in a few days. And if you’re a new visitor, be sure to subscribe to our blog to receive updates of new posts. 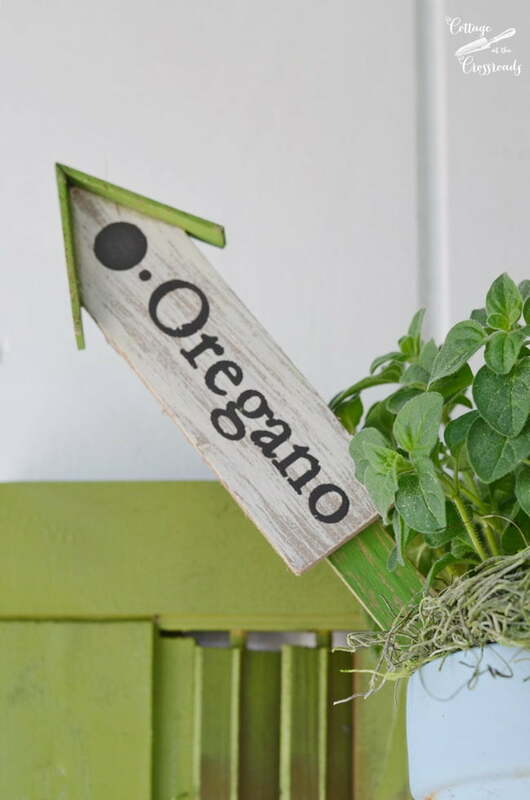 In the meantime, I just had to share these cute herb plant markers with you. For your convenience, I tried to find them online at Walmart but I couldn’t. But I’ll come back and put a link here if I do find them later. 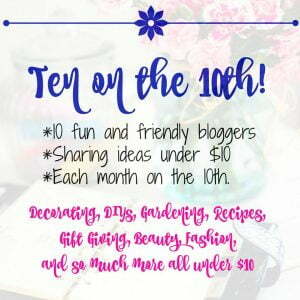 Now it’s time to see what other thrifty favorites my friends have to share with you today. Just click on the links below to give them a visit too! « Valentine’s Day Tree and a Giveaway! So cute! I love them. I’m going to check out your herb growing tips too. Last year my daughter and I attempted a little herb garden and quickly failed. It was fun while it lasted so I know we will try again. Thanks for sharing! 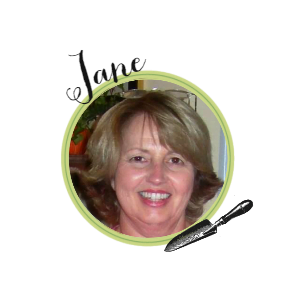 Those are darling Jane! I seldom go into Walmart but every now and again I do and your right they have some great bargains. I just started my herbs from cuttings for outdoors, now all we need is some weather above 20 degrees again. Jane, those are the cutest herb markers. We grow herbs so I’m always interested in how other folks grow theirs. Thanks for sharing. I love these!…thanks for sharing these with us Jane! Hope they have them at my Wal-Mart….they make great gifts! These are so cute! Heading to Walmart asap! Thanks for sharing such a great find! These plant markers are absolutely adorable. You couldn’t even make your own at that price. 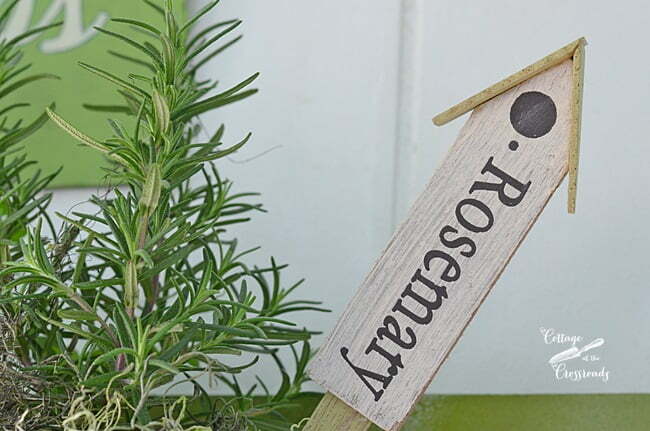 These are super cute garden markets – I’m sitting here thinking I could make something similar because I have all this scrap wood to use up. Herbs are the best aren’t they?